At your residence or place of business anywhere in Palm Beach or Broward County. Call Carlos right now at 561-202-4205. Over 20 years experience. Now open in South Florida!! Other locations soon available. Here are some before and after pictures. I am dilligent about my work and I am the best because of that! In about an hour. 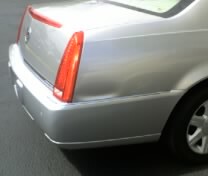 Plus Discount for multiple dents and dings. Call me RIGHT NOW at 561-202-4205 for a quick appointment within 48 hours or less. Give us a ring and we will take out your ding. It's that simple!! Don't delay another day! 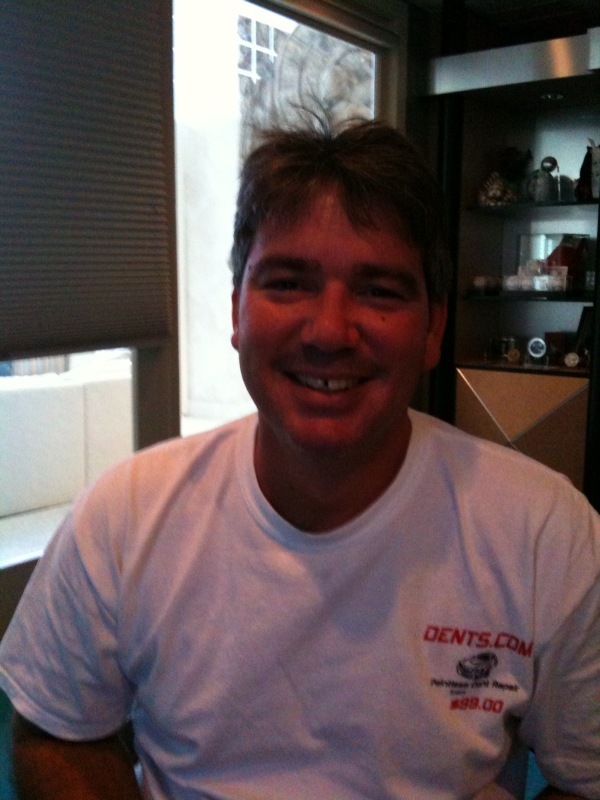 I can provide references from many of the most popular car dealers in South Florida. I have done their body shop work for over a decade. Cadillac, Toyota, Mercedes Benz, Nissan etc. I am the best at what I do and your satisfaction is absolutely guaranteed! Forget the body shop that will likely cost you $1000-$2000 or more, keep your car for several days and make a mess of your vehicle. Besides, they call Carlos as well but of course triple the price. So go direct and save! 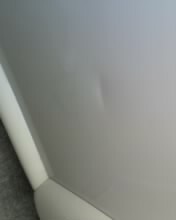 With Dents.com I come right to your home or office and take out the dents in minutes. Prices range from just $99-$999!!! Just take your body shop estimate, divide by 3. Voila! All work is guaranteed! 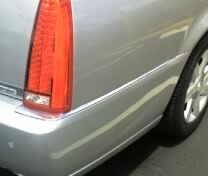 These are for dents and dings that require no painting. A fraction of the body shop and in minutes not days. No mess, no fuss, make your car perfect again right now with just one call. 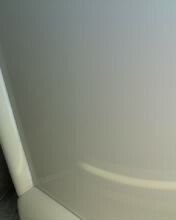 Tired of a small ding or dent ruining the perfect look of your car? 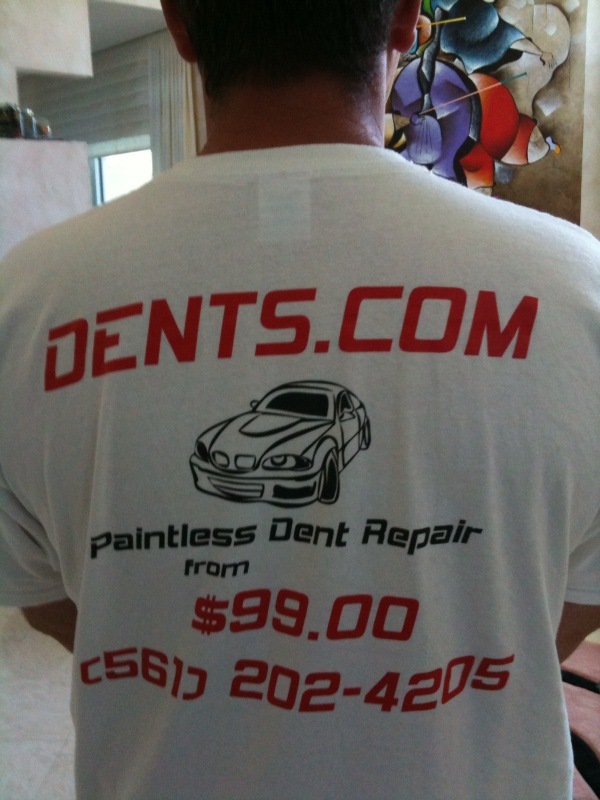 Let Dents.com take the Dents out of your car professionally and cleanly in just 60 minutes! Want to secure a local territory? Email me here! And when you love my work, please tell your friends.